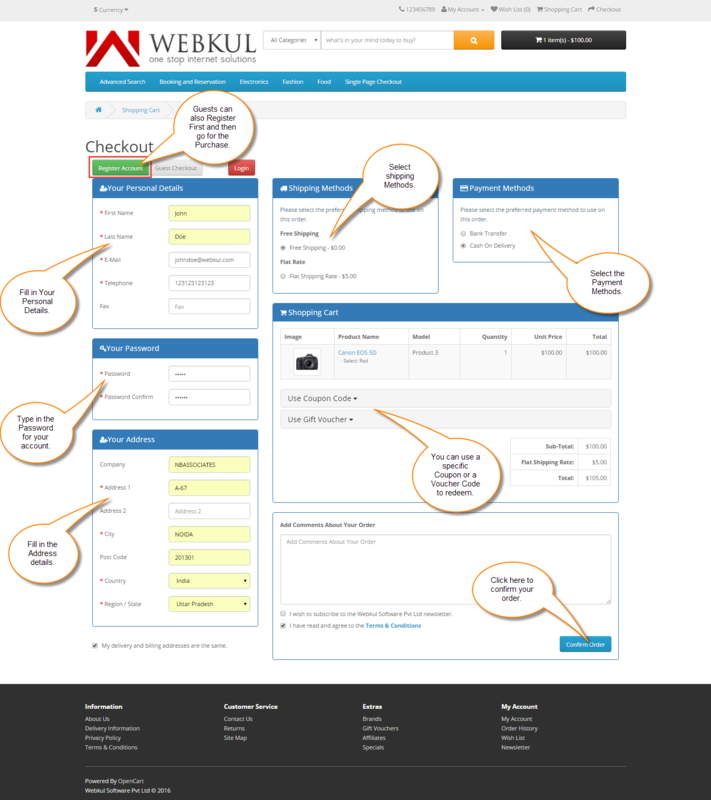 All checkout steps have been brought together on one page. Customer gets only one button for confirming the order, no more continue buttons. You can use Coupon and Voucher codes at the time of checkout. Compatible with all Marketplace Shipping and Payment Methods. New Shipping Information can be added at the time of checkout. Guest checkout is also possible at the time of checkout. All information like shipping and billing address, shipping methods & payment methods can be accessed at a single page and can be altered if required. Customers will get a zip folder and they have to extract the contents of this zip folder on their system. The extracted folder has – admin, catalog & ocmod folders. You need to transfer the admin & catalog folders into the Opencart root directory on the server as shown below. After this you will navigate to Extension Installer and upload the file singlePageCheckout.ocmod, which you will find inside the ocmod folder. Now navigate to ->Extensions->Modifications and click refresh on the top right hand side as shown below. Now go to Extensions-> “Modules->Single Page Checkout and click the install button to install the module as shown below. After the installation of the module admin will navigate through Extension->Modules->Single Page checkout and click on the edit button next to it. Now enable the module here and click save after that as shown below. 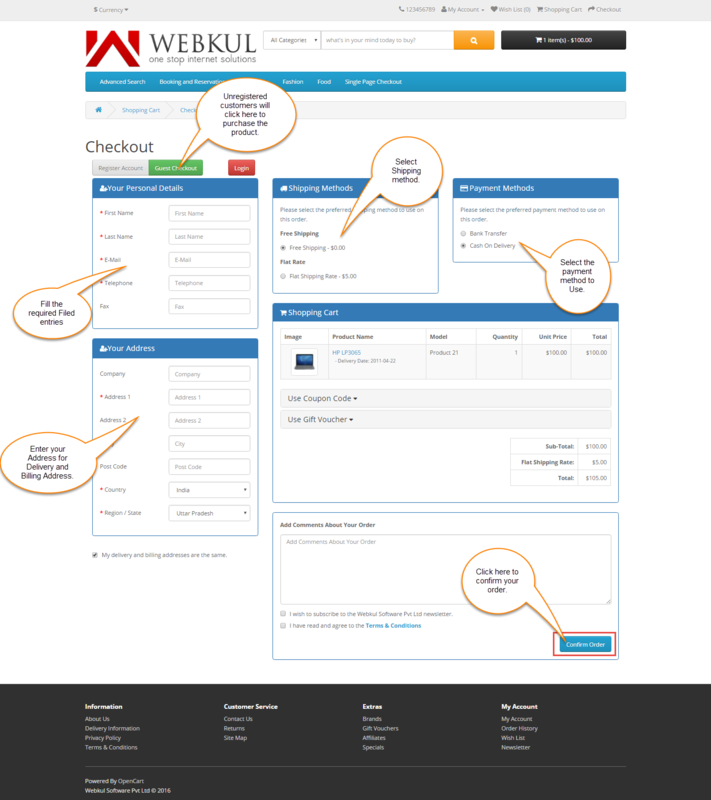 Both registered and guest users can access the Single Page Checkout functionality at the checkout time. Logged in customers will add the product for purchase into their cart in the usual manner as shown below. 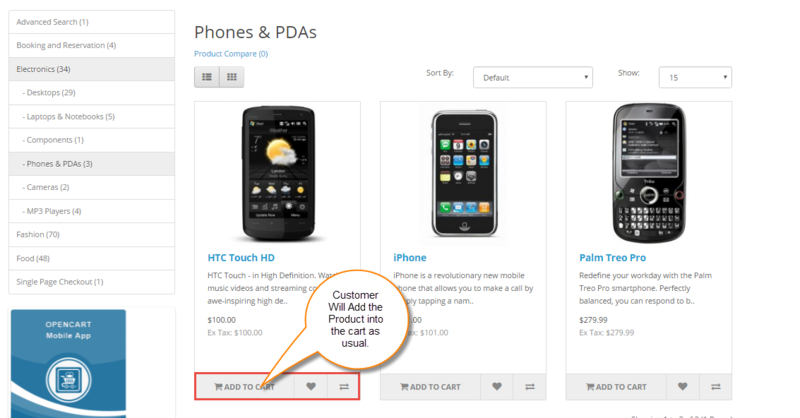 After adding the product into the cart, customer will click the checkout button as shown below. Customers will be redirected to the single page checkout where all the information will be visible and accessible at a single page. Also customers will get only one button for confirming the order with no more continue buttons as was the case in previous opencart checkout. 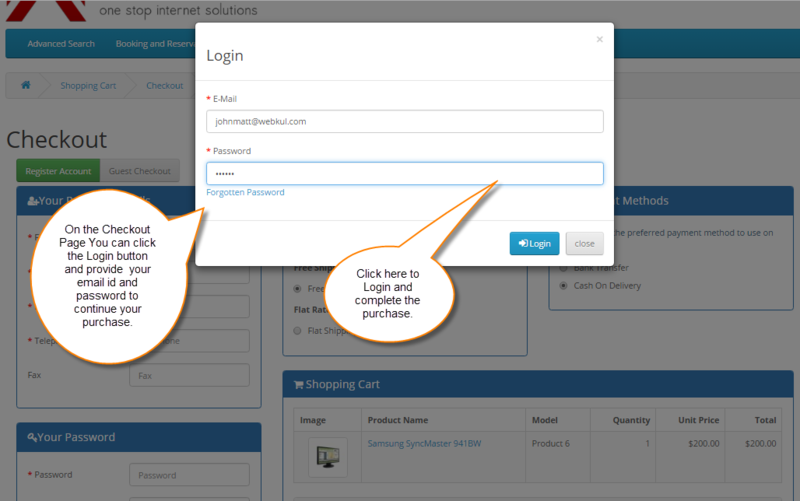 Customers can also directly login to complete their purchase by clicking the Login button at the checkout page as shown below. Customers will be able to use their Coupon or Voucher codes at the time of checkout. 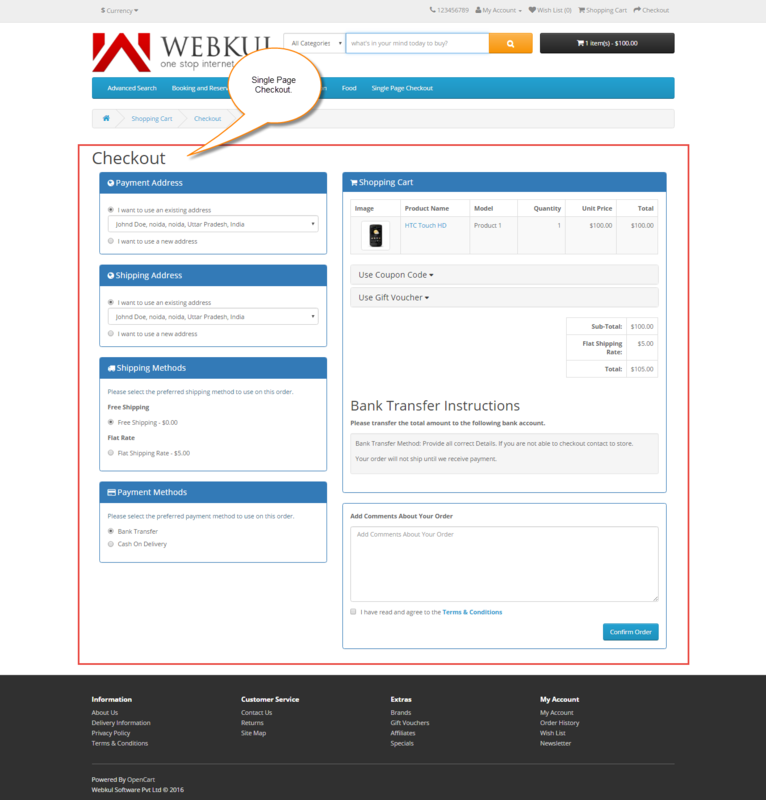 You can add new Shipping and Billing Information and the Payment methods to use at the time of checkout. 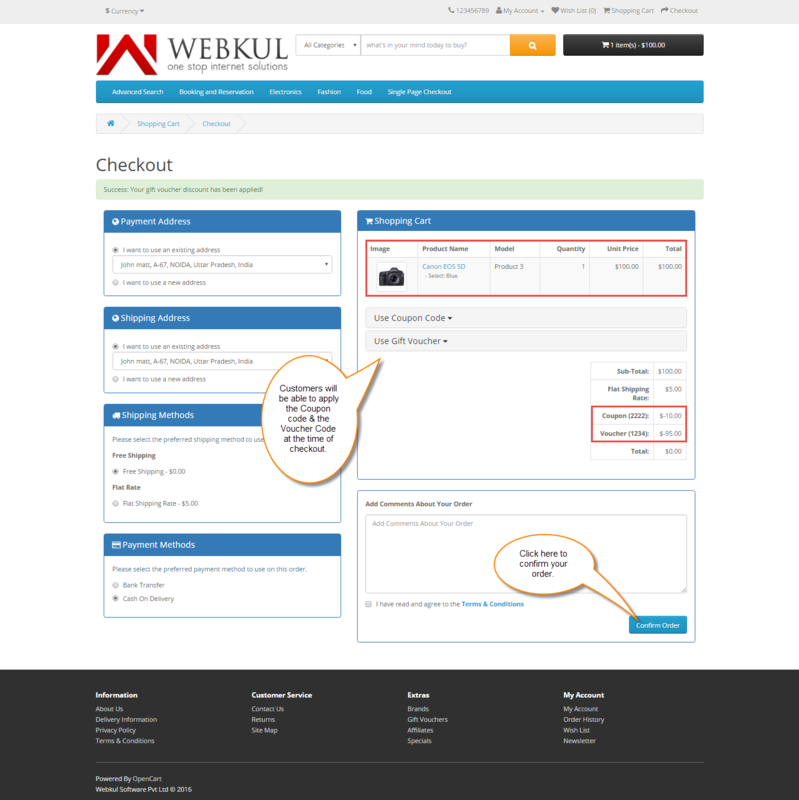 If Guest user adds a product into the cart and goes for the checkout then he will see this checkout page where he can complete his order by filling in the details and clicking on the complete order button on the bottom right side to complete the order purchase. Guests will also be able to use the Coupon and the Voucher codes at the time of checkout. Guest users can also first register their account on the same checkout page and then click confirm order button to complete their order purchase. Here when guest clicks the confirm order button the order will be placed and they will be able to check the order history in their account thereafter. 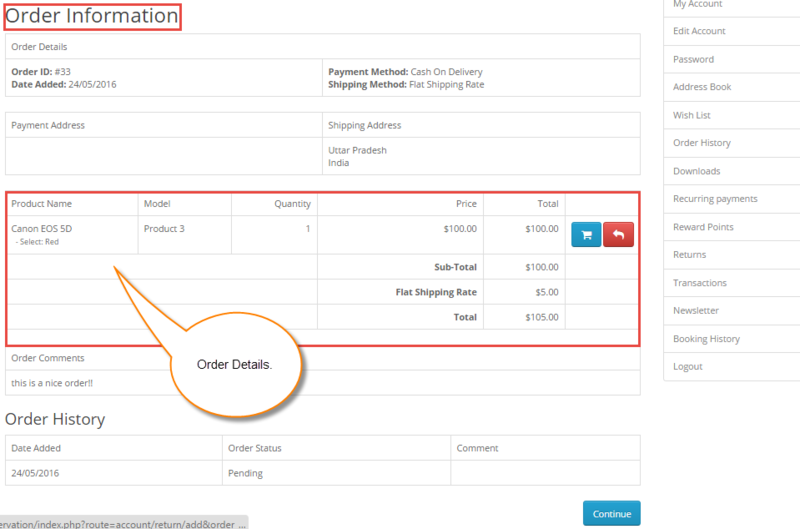 After registration and the completion of the order you will be able to see your order history as shown below.